WooCommerce Customizer Plugin allows users to Customize the appearance of the WooCommerce product on product shop page, product details page, Cart page and Checkout page. 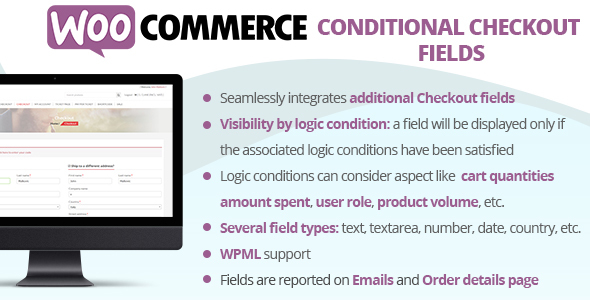 WooCommerce Customizer Plugin allows users to Add Custom Fields on Checkout page. Also display custom Fields on order details and thank you page. Send that fields on Order E-Mail too.